The heart of the Old Town. 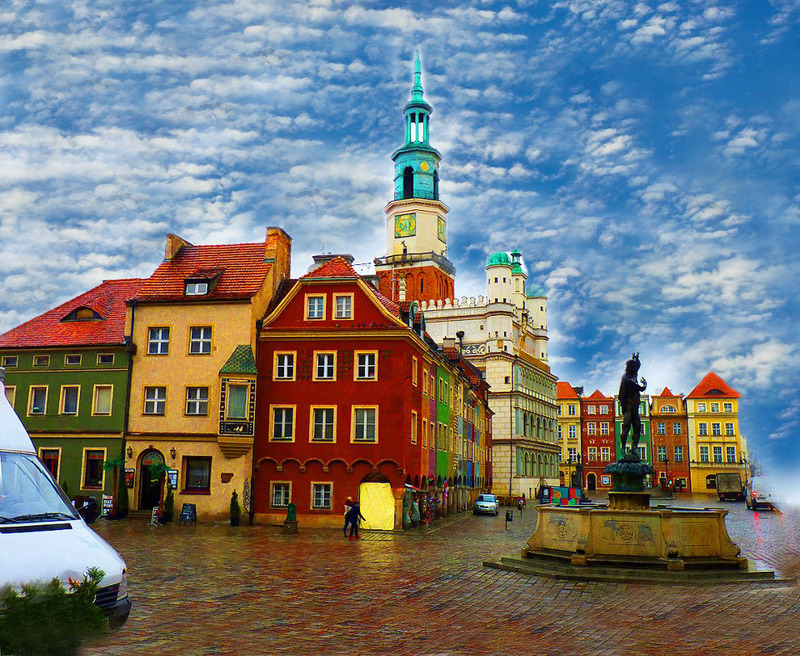 This square echoes with footfall from all walks of Poznań life. Beneath picture-book façades in crayon-box colors, youngsters chatter and old-timers set the world to rights, as the whirr of bicycle wheels blends with the click-clack of horses’ hooves. Pull up a seat in a square-side café and indulge in some good old Poznań people-watching.